With the nature of the show, it only makes sense that Lawless would need a stunt double for at least a few of the moves her character had to do. For the majority of the series, Zoe Bell was on stunt duty. Bell would also fill in for Uma Thurman in Kill Bill. 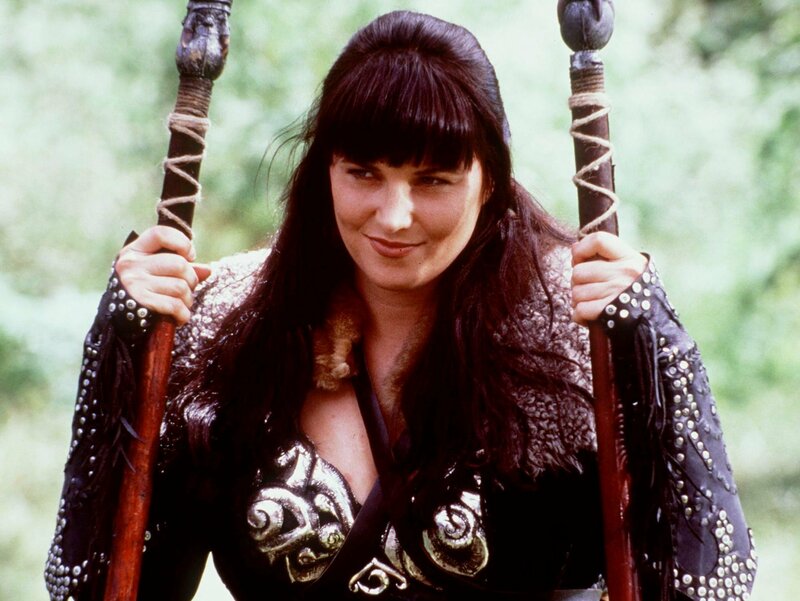 Lawless said that “Xena is half Zoe.” That might be a bit of an understatement considering how many stunts she had to do for hour-long episodes. Bell started when she was just 17. 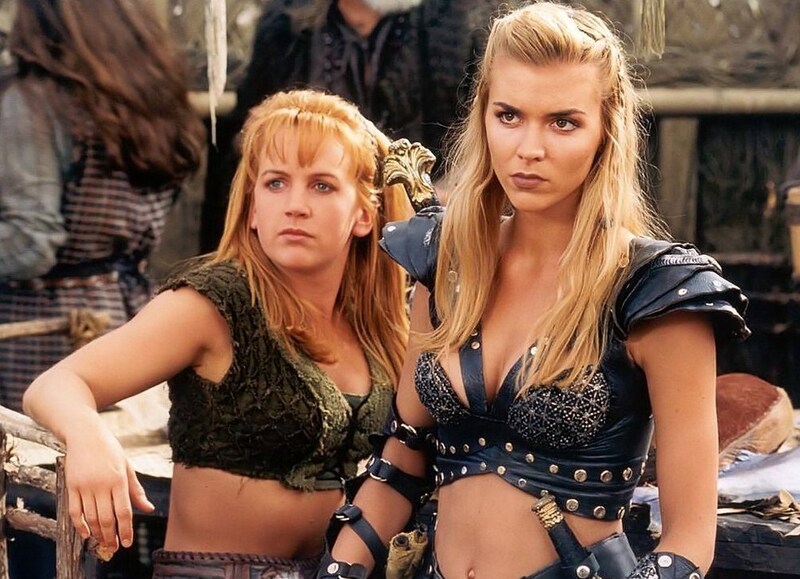 The role of Gabrielle almost went to someone else just like Xena. It already seems like this would have been a completely different show had some of the original castings fell through. The part of Gabrielle was going to be played by Sunny Doench. She would have been Gabrielle had the show’s filming location been closer than New Zealand. Doench didn’t want to move to New Zealand, so that’s when producers contacted Renne O’Connor for the part. 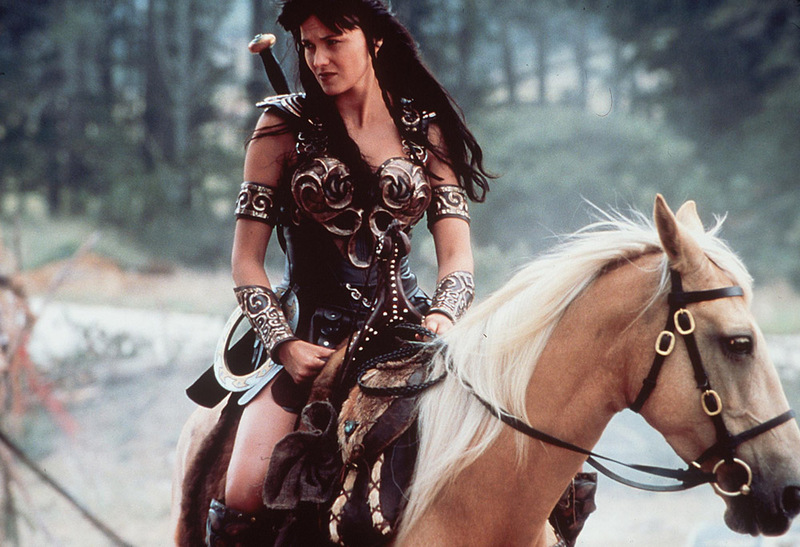 Everything about Xena- from the outfit she wears to the battle cry she lets out- is iconic. Don’t forget about her chakram, which is a real weapon. It dates back to 2nd century BCE India, made from brass or steal. The chakram (which we will touch on again later) only made the show that much better. If you thought it was a weapon only created for the series, think again! Those instruments can travel up to 60 meters when thrown. When an injury occurs to the main character during filming, it can change everything that producers and writers had already planned. When Lawless was filming for Jay Leno’s Tonight Show, she fell off her horse and fractured her pelvis in several places. Afterward, she couldn’t maneuver around like she used to for months. The show was in the second season, and many of the scenes had to be rewritten. They focused on guest stars and supporting characters. Anytime a legendary filmmaker like Quentin Tarantino publically appreciates a TV show or movie, that means something is going right. Tarantino outright praised Xena in an interview with Double Dare. His words ring true to the essence of what Xena was. When you’re influenced by something artistically, that influence may become apart of your creative process. For co-producer Robert Tapert, that’s exactly the case. Tapert was very fond of Hong Kong action films so they helped fuel what we saw on-screen in Xena. 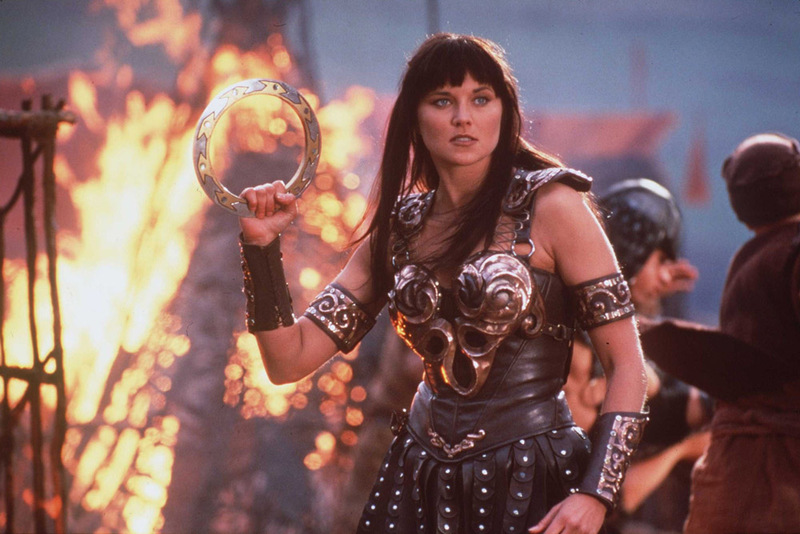 There were many times where Xena had kung-fu style fighting scenes and embellished sound effects. One of the popular fight sequences drew inspiration from the films Once Upon a Time in China and The Bride with White Hair. Many like to focus on the “romance” between Gabrielle and Xena. Even though it was underlying, the two of them were soulmates, but not in the way many thought. Aside from that, the show was progressive in many other ways as well. They loved to celebrate diversity and inclusiveness. Many female characters also got cast as lead characters, which wasn’t happening that often back then. A lot of them were from different backgrounds, so the diversity was incredible. 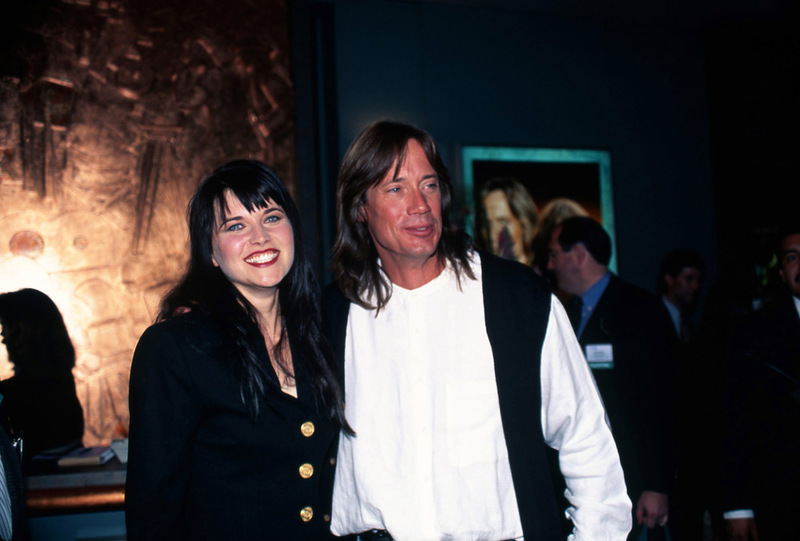 Well before musicals became a thing in TV shows, Xena aired their first musical in 1998 called “The Bitter Suite.” It wasn’t just a musical, it gave a key development within a season arc. Many like to think of it as the best episode in the series. The composer of the musical even earned two Emmy nominations. Even some of the characters on the show, including Kevin Smith and Lucy Lawless, studied opera in college. The show went on to feature a second musical in a later episode. New Zealand wasn’t always known as Middle Earth. It used to be home to Xena, Hercules, and Young Hercules. It makes sense that New Zealand is where the show had been filmed. However, there was a stipulation. The show might have been shot in New Zealand, but local actors weren’t used in the series because it was meant for American and international audiences. The producers selected actors with Southern California accents for the characters in the show. 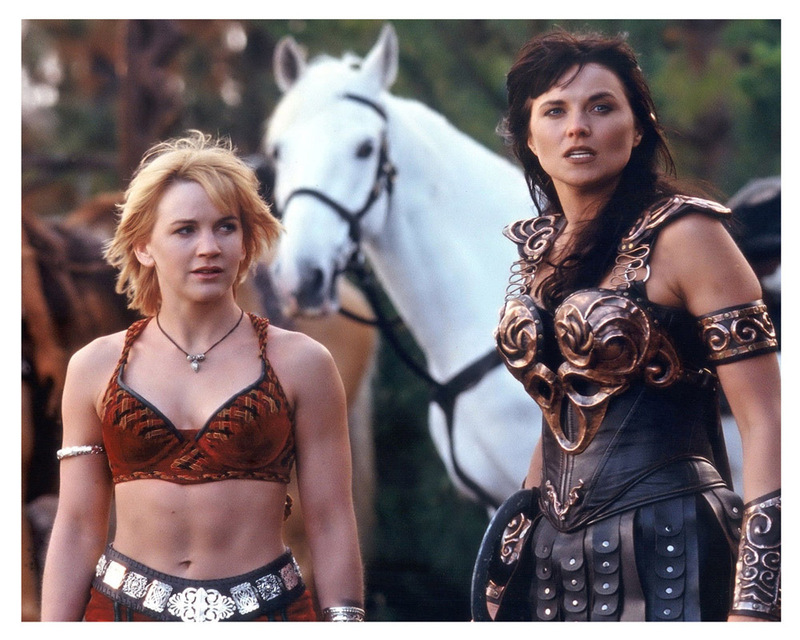 There was a lot crossover between Hercules and Xena, so much in fact, that many fans forget where Lucy Lawless first appeared. Lawless’ first appearance was on the movie pilot Hercules and the Amazon Woman. Some might have recognized this early on. 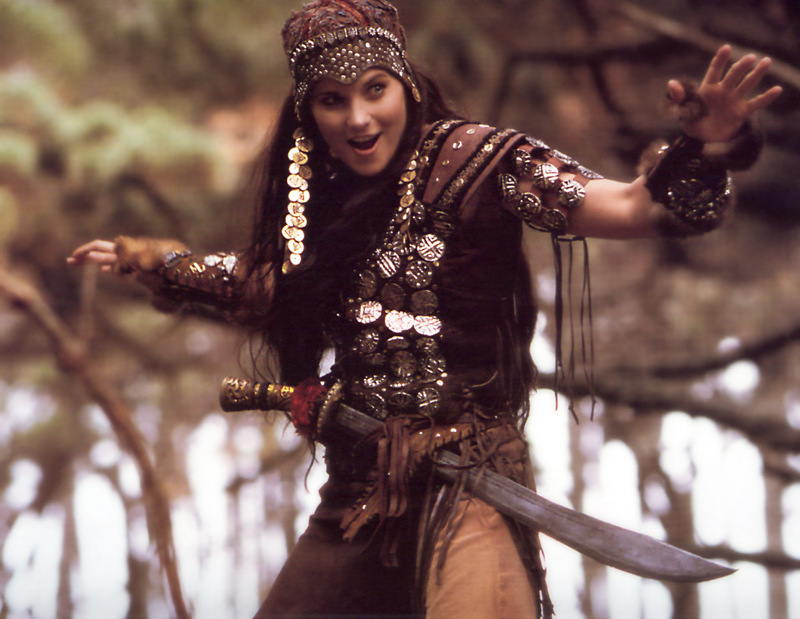 Lawless depicted a different character twice before she settled into the Warrior Princess. Not everyone is ready to step into their destiny right away. Lawless had to get her feet wet before jumping in all the way. Many viewers might not have realized that the show ran into some problems due to religious references. More specifically, it was the way they depicted Hinduism. The series had Greco-Roman roots while incorporating elements of other religions as well. It got to a point of showrunners having to warn viewers. In “The Way” episode, they interpreted some components of Hinduism so the showrunners had to explain their intentions. 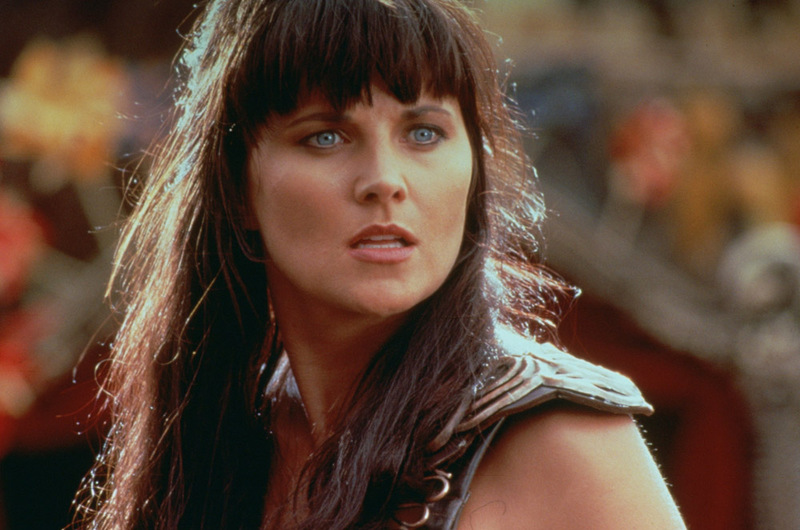 Before the episode could air, some controversy appeared as rumors said that Xena beat up a Hindu deity. Back in 2015, Lawless revealed in an interview that she modeled her look after Argentinian tennis champ and US open winner Gabriela Sabatini. The added bonus was that her hair wouldn’t become damaged from having to bleach it. Perhaps, that was her plan the whole time. Thank goodness Lawless had such a great stunt double! As it turns out, she didn’t like doing the fighting scenes that helped make the show as dynamic as it was. The series was a hit so she couldn’t do much about it. “My only defense was to get good at it,” she said to Television Academy. “Get it over and done with ASAP.” Spoken like a true warrior. Maybe her pelvis troubled her a bit throughout the whole show. 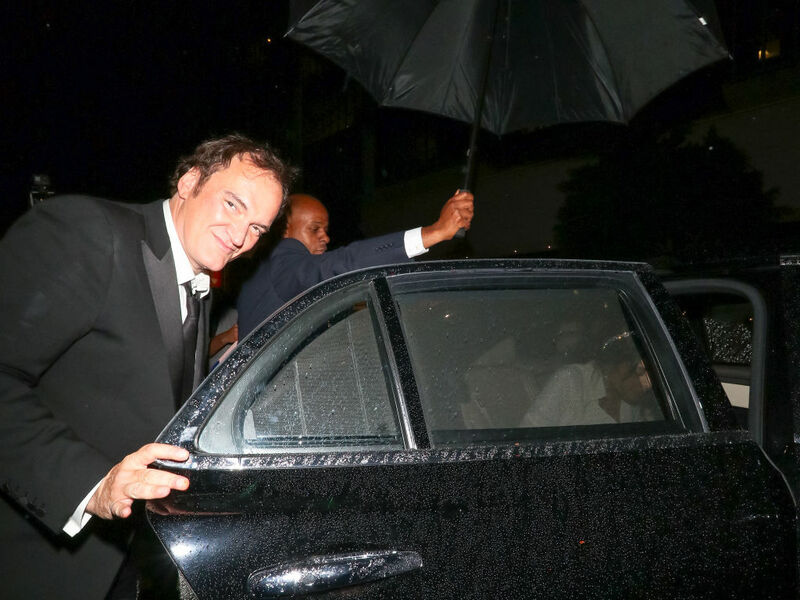 There are some people in Hollywood who like to do their own stunts. For example, you have Jackie Chan and Tom Cruise who enjoy not needing a stunt double. For Renne O’Connor (Gabrielle) she was pretty much the same way. While the team did have the best stunt doubles in the business, O’Connor didn’t mind handling the dirty work due to Gabrielle having fewer dangerous acts to commit. We can safely say she handled the lion’s share of them. The moment the show went off the air, the rumor mill began to spin. A flood of rumors spilled, with many saying that a feature-length film was int he works. Back in 2003, screenwriter Katherine Fugat had been contacted to work on the project. The show might not have been around when social media became popular, but that doesn’t mean it couldn’t gain some steam in the future. A global campaign started in 2013 thanks to the fans. 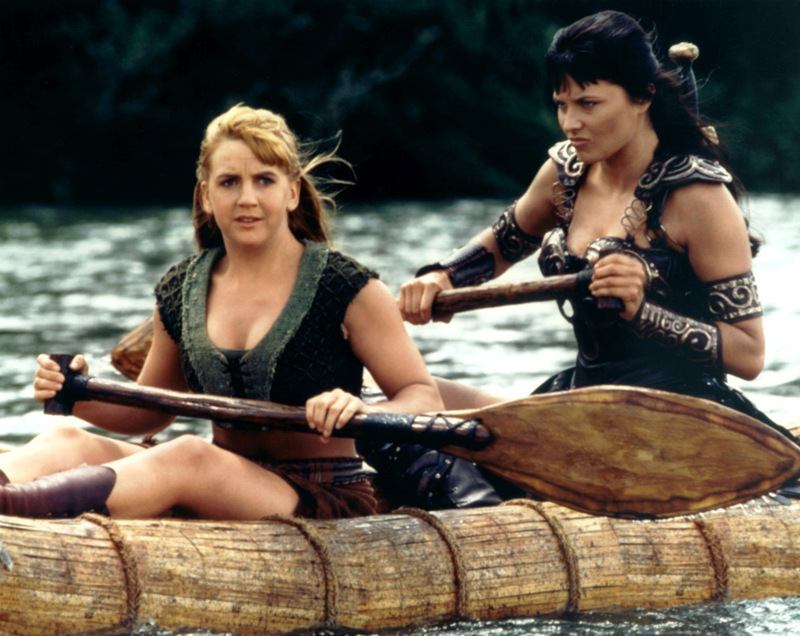 They demanded that a Xena movie be created. If you go to the National Museum of American History, then you can see the original Xena costume. Lawless donated it back in 2006. Smithsonian magazine asked her if the suit was even comfortable. Back in 1997, Lawless took her talents to the stage! She appeared as Betty Rizzo (the bad girl) in the Broadway revival of Grease. Lawless felt that they typecast her as the bad girl due to the success of Xena. Lawless wanted to play the lead role. The actress felt that her life was similar to Sandy’s character. They both were similar in their sheltered childhood. In New Zealand, Lawless grew up with protective older brothers. The series writer John Schulian was a fan of it and said they should cut around it. That’s when Tapert said it was the coolest thing he’d ever seen. He knew what he was talking about.